Have you ever felt a huge sense of relief? Something finally coming together and you can finally breathe a little? I’m a little scared to say this but I think our dog, Charley, is finally, finally back to normal or better than before his major hip surgery in February. Charley is a shepherd mix who has hip dysplasia in both hips. We opted to have them operate on the left hip, which was in worse shape than the right one. More than 3 months of multiple rehab sessions a week and he’s finally doing good. He was doing good but then had setback and then another setback. It’s been stressful and we were even doubting we had done the right thing. But I “think” I can finally breathe and I’m so happy for him! Forget about getting dinner on the table, I find getting breakfast ready even more difficult. Sometimes I don’t even eat breakfast, I know that’s so bad but I found a quick and easy solution for getting breakfast ready quickly! 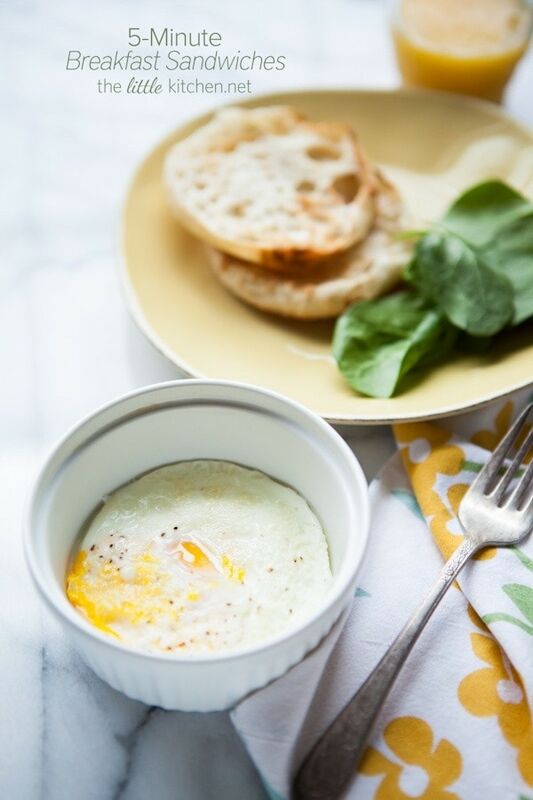 Cook the egg in the microwave in a ramekin and you have a super quick way to make a breakfast sandwich! Getting the egg done is faster than toasting it! I used a large ramekin and sprayed it with non-stick cooking spray and then wiped it a little with a paper towel. Add an egg and break it with a fork ever so slightly. Add a couple of teaspoons of your favorite cheese and microwave for 45 to 60 seconds in 15 second increments. While the egg is cooking, toast your English muffins and prep your other ingredients. I love adding spinach and tomato (optional) and I totally want to try a caprese breakfast sandwich soon…with fresh mozzarella and basil. What do you think? And done, have fun with it. Try different ingredients. Make it fast, easy and fresh. In 5 minutes, you can’t beat that! Follow @TheLittleKitchn on instagram. We love to see the recipes you're making from TLK! Be sure to tag @thelittlekitchn and use the hashtag #thelittlekitchenrecipes! 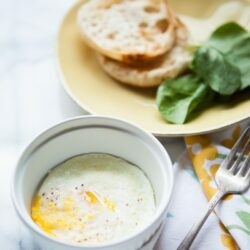 A quick and easy way to get breakfast on the table using the microwave! Take a large ramekin (I used one that is 3.25" across the bottom and 4.25" across the top) and spray it with non-stick cooking spray. 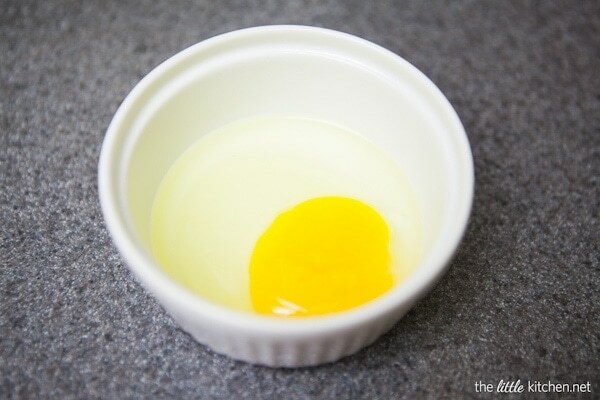 Take a paper towel and wipe the ramekin a little, the spray bottle usually sprays too much. 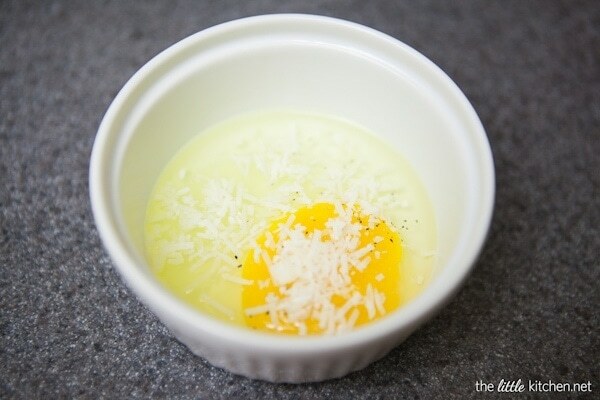 Break an egg into the ramekin, take a fork and break the yolk just a little bit. Add salt and pepper to the egg and sprinkle with your favorite cheese. 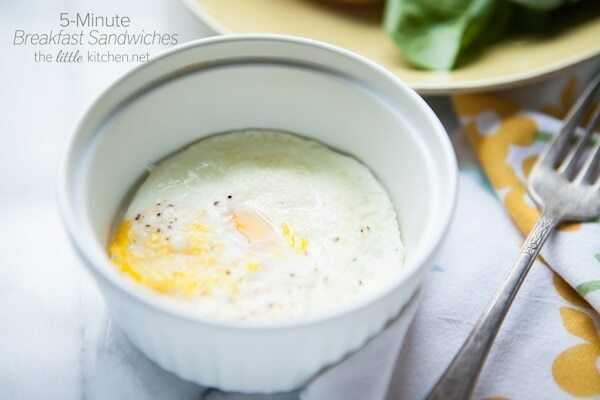 Microwave the egg for 45 to 60 seconds in 15 second increments (covered) and depending on your taste. While the egg is cooking, toast your bread or English muffins and prep your other ingredients. Cook the other egg and stack your breakfast sandwich. We love that you love to share our recipes with others. If you have a blog or website and want to repost the recipe, we just ask that you reword the instructions (easy peasy) and link back to give us credit and to use your own images at the same time. Please ask us permission before republishing our recipes and images. And here's a great article on how to properly attribute a recipe.